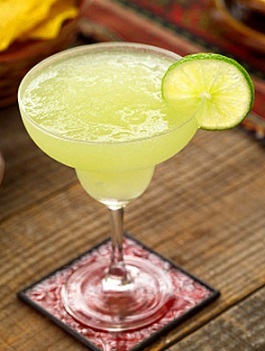 Despite thousands of restaurant drink recipes, this classic Margarita Recipe is still one of the most popular with restaurant guests (and me), especially when sitting on the deck on a warm afternoon or evening. It is truly a famous and favorite restaurant drink recipe. This beverage can be made ahead of arriving guests. Just leave out the ice and store the drink in the refrigerator. 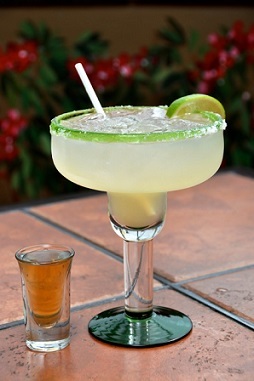 When it is time to serve your Margaritas, just put ice cubes (on-the-rocks) in the glasses and pour the drink. 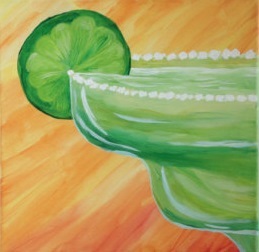 Or crush the ice in your blender and put the crushed ice in each glass (salt-rimmed, if and pour in the margarita mix. Enjoy your classic tequila recipe and the company of those you share it with! It is a famous restaurant drink recipe. "Last night I was sitting on the couch with my husband, drinking a margarita. I said, ' I love you.' 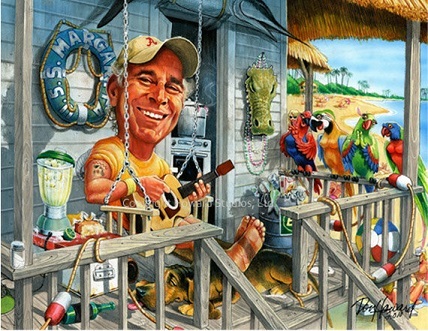 My hubby said, 'Is that you or the Margarita talking?' I said, 'It's me ...talking to the Margarita."